Professional quality, 100% made in Europe! The curved blade is specifically designed to scoop-out wood spoons bowls and other woodenware. Designed for right-handed use (for scooping cuts towards the user). The razor-sharp edge is ready to carve. 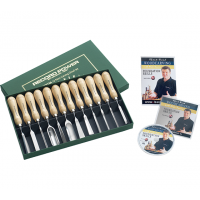 This knife features high-quality, properly hardened steel. 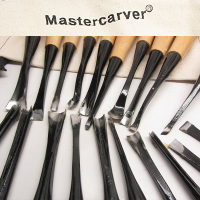 Professional Mastercarver® quality, skillfully hand-made in Europe! 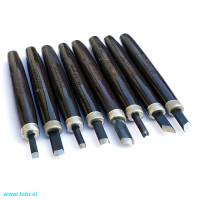 The blade width is 11/16” (17mm). The overall length is 6.5” (165mm). The distance across cutting edge gap is 20mm (perfect for carving smaller spoons and ladles). 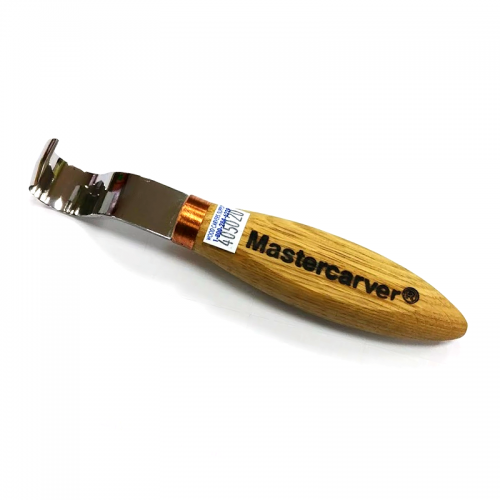 PRO-POCKET WHITTLER II by Mastercarver® High-Performance Tools! 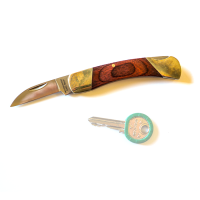 TM Unlike ordinary pocket knives, th..
Mastercarver Hand-Forged tools are used and recommended by leading professional wood carvers and te..